In general, I have recorded that something has been harmed, not how or by whom. 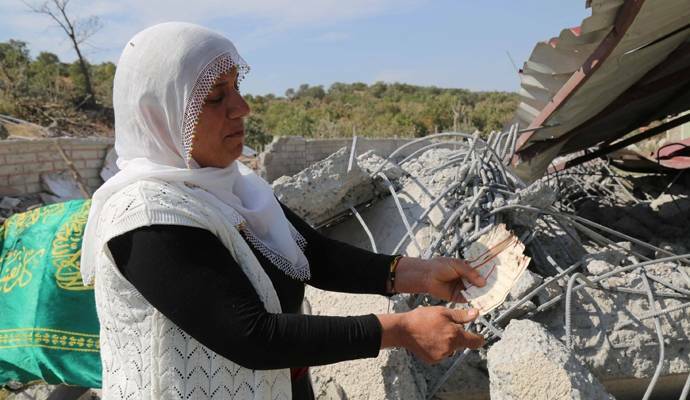 Particularly the searches for any mention of damaged or destroyed religious buildings in Cizre or Diyarbakir, or any mention of Cizre or Diyarbakir in the context of religious buildings that have been damaged or destroyed elsewhere, should ensure a reasonable survey. 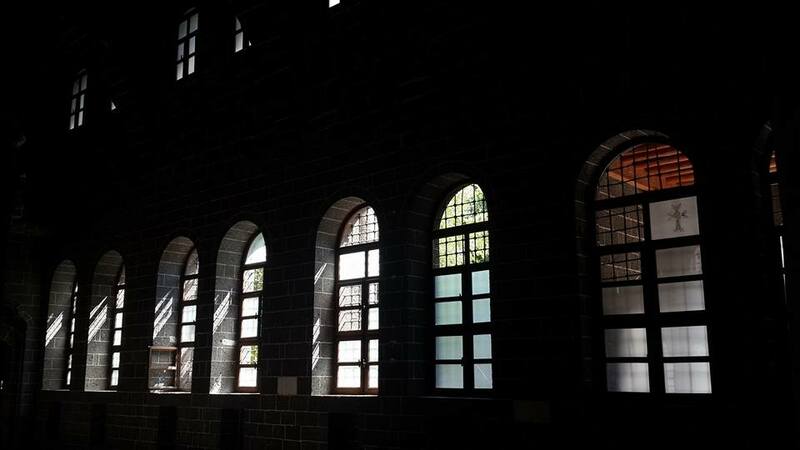 On the 7th of September 2015, ‘an explosion and gunfire’ broke the windows of the Armenian Apostolic Church of Saint Giragos in the Sur district of Diyarbakir and damaged its walls. In mid-September 2015, the President of the Armenian Association of Mesopotamia, Arat Karagozyan, told Public Radio of Armenia that Turkish police had ‘broke[n] the historic doors to enter the Armenian Catholic Church in the Sur district of Diyarbakir, caused 300,000 liras’ worth of damage and ‘stolen’ ‘six large historic faience pictures and a number of carved stones’. By then, historic homes and other historic buildings had also been damaged. By early October 2015, the Byzantine walls of the UNESCO World Heritage-listed Cultural Landscape of Diyarbakir Fortress and Hevsel Gardens and Kurşunlu Mosque (the Lead-Roofed Mosque) had been damaged too. 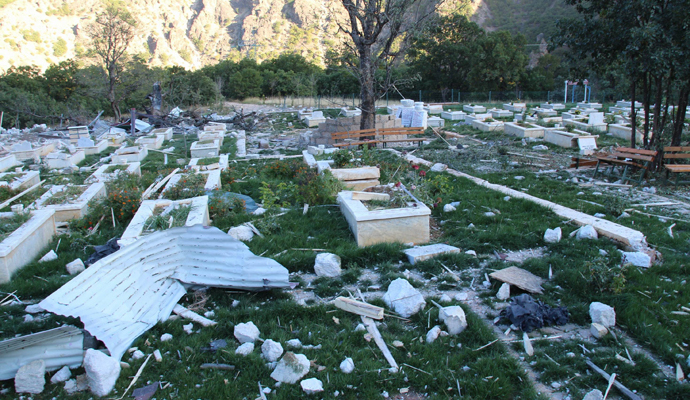 Between the 16th and the 18th of October 2015, Turkish Armed Forces (TSK) shelled graves in the martyrs’ cemetery of Suna Çiçek (Besê) (Selcan Çiçek) and Dr. Baran (which houses bodies from the recent conflict as well as victims of a massacre in 1938), as well as bombed an Alevi house of worship (cemevi), in Dersim/Tünceli; they “signed” their handiwork with graffiti for the Gendarmerie Special Forces and the Republic of Turkey. 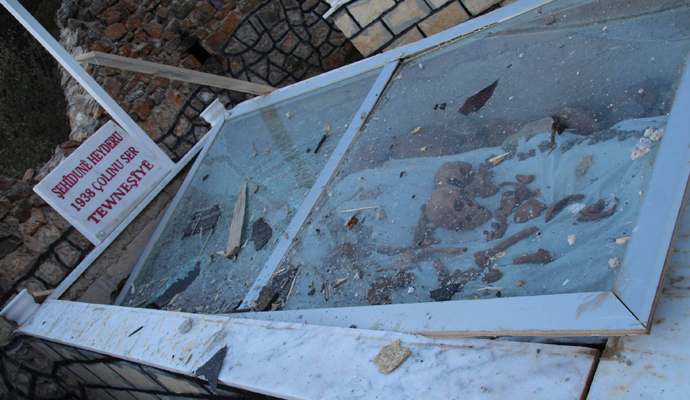 They also destroyed a mosque, its ablution fountain, graves, a martyrs’ museum and a meeting hall at the martyrs’ cemetery of Harun and Hêvîdar/Hêwîdar in Lice. 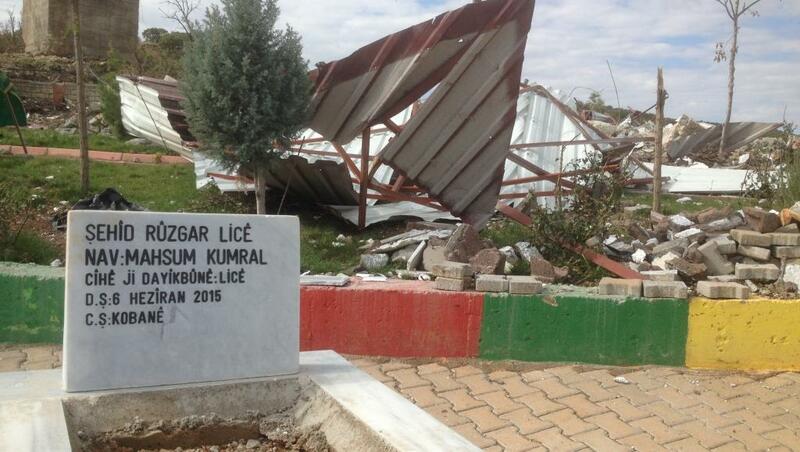 Around the end of October-start of November 2015, the TSK destroyed the mosque of the martyrs’ cemetery in Şişe near Lice. 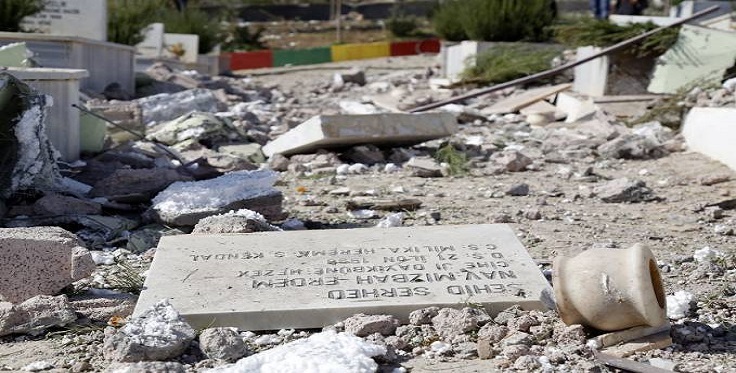 The grave of a fighter killed in Kobane in front of the ruins of the mosque at Sise’s martyrs’ cemetery. 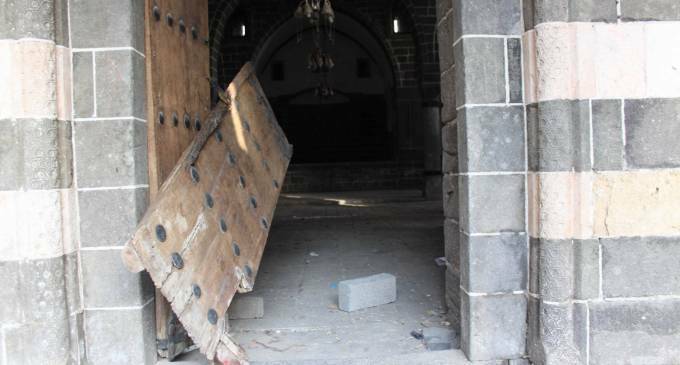 On the 25th of November 2015, according to now state-annexed Today’s Zaman, the Four-Legged Minaret (Dört Ayaklı Minare) of Şeyh Mutahhar Mosque in the Sur district of Diyarbakir was damaged by bullets. The Chair of Diyarbakir Bar Association, Tahir Elçi, was assassinated on the 28th, as he condemned the damage to that minaret. 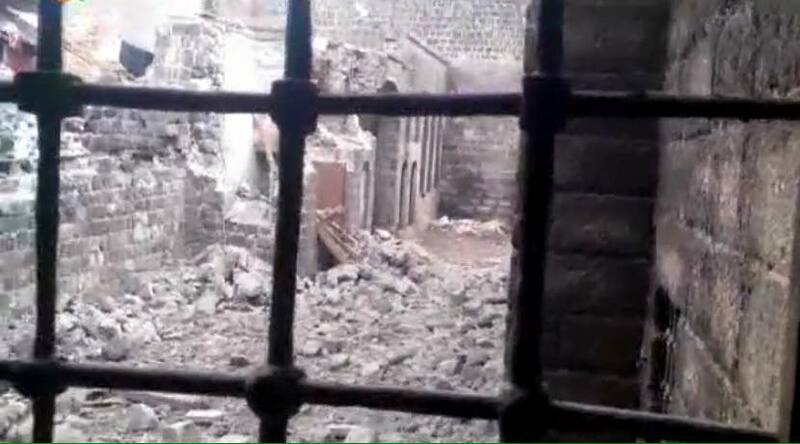 On the 6th of December 2015, according to now state-annexed Today’s Zaman, Paşa Hamam was ‘burned down’ in the Sur district of Diyarbakir; ‘security concerns’ prevented intervention by firefighters. 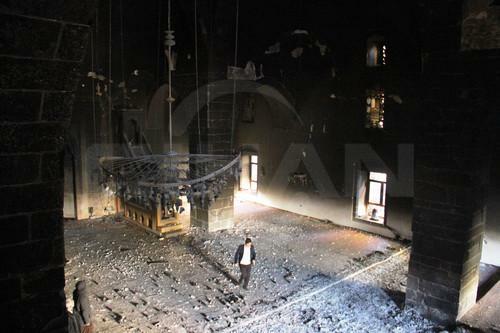 On the 7th of December 2015, Fatih Paşa (Fatih Pasha) Kurşunlu Mosque in the Sur district of Diyarbakir was burned out. Allegedly, in the ‘PKK terror attack’, the Kurdish paramilitaries bombed the interior with improvised explosive devices (IEDs) and prevented a response from the fire brigade by ‘opening fire with long-range rifles’. 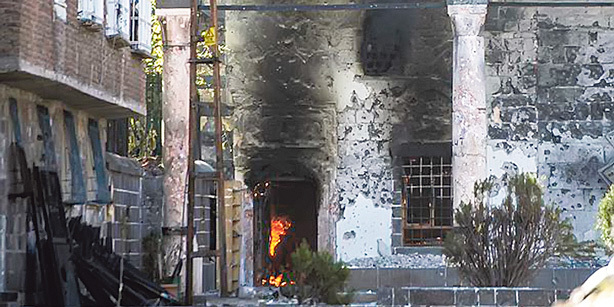 The state-run Anadolu Agency did not explain why Kurdish paramilitaries would have burned out their own community’s mosque, especially when it also alleged that the PKK had been using the religious building for military purposes on the day before the bombing. In fact, events were reported differently by Today’s Zaman (which has now been occupied and appropriated by the Turkish state; its website has now been wrecked, but it was already archived). 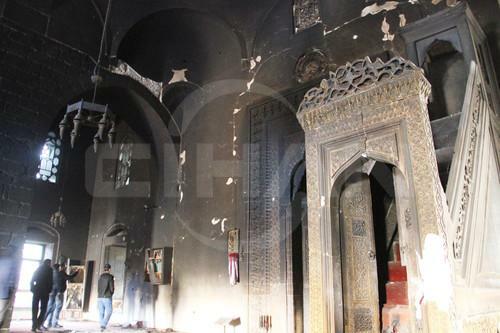 The historic Fatih Paşa Mosque in Diyarbakır’s Sur district was damaged by fire on Monday as a result of clashes between Kurdistan Workers’ Party (PKK) terrorists and Turkish security forces during the sixth day of an ongoing curfew. The mosque, built between 1516 and 1520, caught fire on Monday morning. Calls to the fire department were made around 10:00 a.m., but firefighters were unable to enter the area for a long time due to security concerns. Calls for firefighters were also made for a few homes in the Sur district, but firefighters were unable to combat the flames. 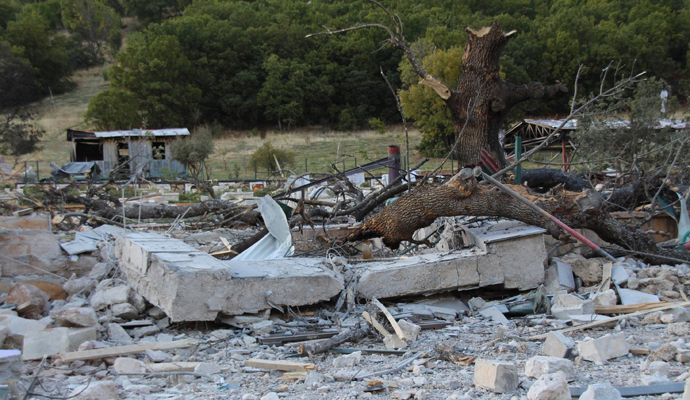 Moreover, the Municipality of Sur stated that Turkish security forces had denied access to the emergency services. And HDP Co-Chair Figen Yüksekdağ relayed eyewitness accounts that the mosque had been ‘bombed from the air’. Judging by the photos that are available, Kurşunlu Mosque has not been ‘reduced to rubble’, but the inside has been burned out. By the 9th of December 2015, Yoğurt Pazarı (Yoghurt Bazaar) in the Sur district of Diyarbakir had been damaged. 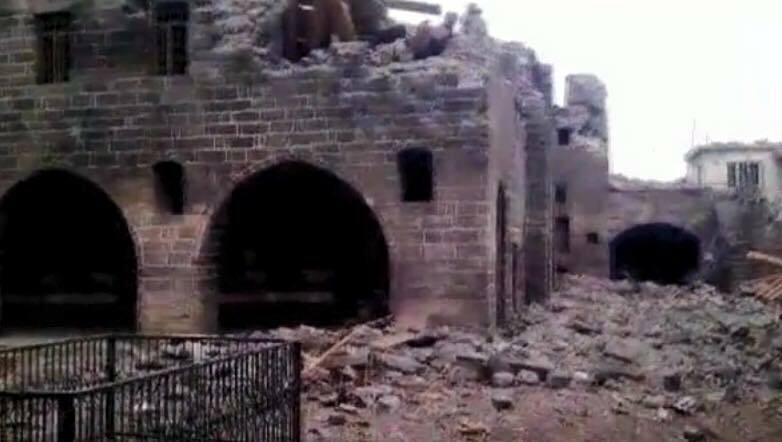 On the 28th of January 2016, the Syriac Orthodox Church of Saint Mary or Church of the Virgin Mary in the Sur district of Diyarbakir was hit by a rocket-propelled grenade (RPG); it destroyed part of the wall around the building. 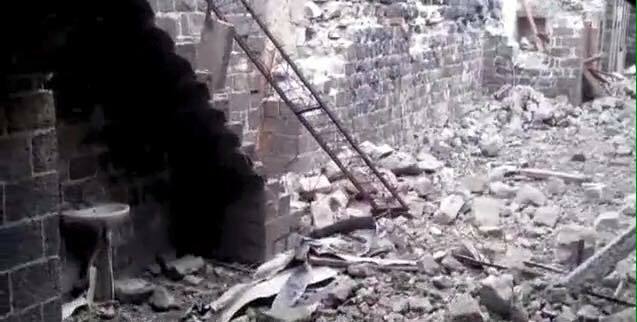 It was alleged that Kurdish paramilitaries had stashed arms within church grounds. Yet, if that happened, it probably happened after the priest and his family had fled, after the property had been damaged. And, according to Agenzia Fides, there were never any official statements (let alone physical evidence). 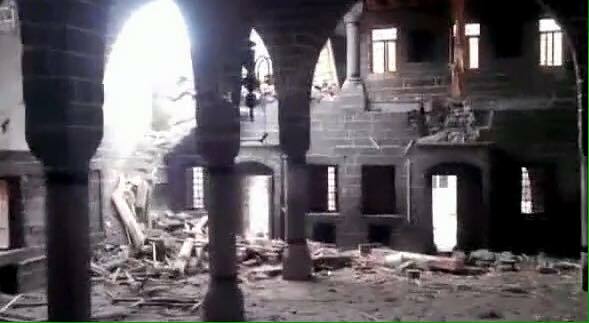 Although I found this by accident, not in the searches, by the 3rd of February 2016, the Church of Mar Petyum Kildani in the Sur district of Diyarbakir had been damaged. 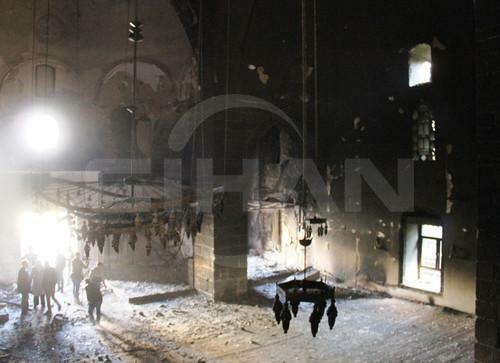 By the 15th of February 2016, the head of the tourism association for Diyarbakir, Kanaan Akso, counted that seven historic churches and mosques had been damaged in the fighting. There are 124 ancient monuments and 410 listed buildings (in total, 1,500 historic buildings) in the Sur district of Diyarbakir alone and (opposition) Republican People’s Party (CHP) parliamentarian Levent Gök estimated that 80 per cent of all of the buildings in the district have been destroyed. By the 6th of March 2016, ‘many mosques’ in Cizre – and ‘all mosques’ in the Cudi, Nur and Sur districts of Cizre – had been ‘damaged’; Hacı Ramazan Mosque in Cudi district had been severely damaged, while Köprübaşı Mosque in Nur district had been lightly damaged. 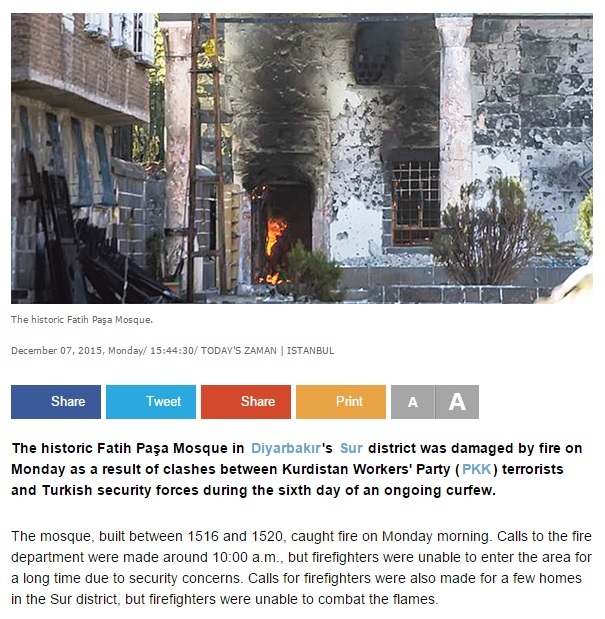 Again, allegedly, according to İlkha News Agency, the mosques were damaged because the PKK had used the religious buildings for military purposes and ‘therefore the mosques became targets of soldiers and polices [sic – police officers]’. 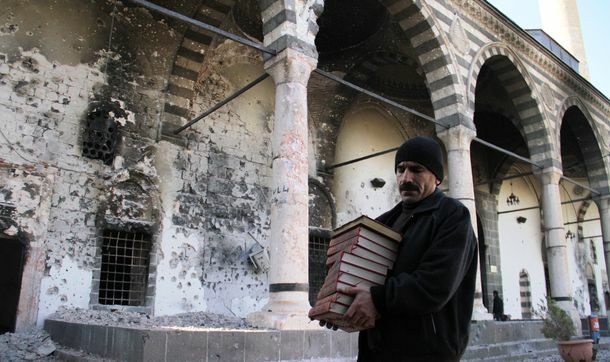 Also by the 6th of March 2016, two mosques in Silopi had been ‘seriously damaged’. So, churches, mosques and their minarets, and cemevis, as well as other historic buildings such as bazaars and hamams, have been damaged or destroyed in Cizre, Dersim/Tünceli, Diyarbakir, Lice, Silopi and Şişe near Lice; and there has been other, as-yet-unspecified harm in Silvan and elsewhere.